Enterprise GIS in Your Infrastructure with ArcGIS for Server - The mapping platform for your organization—running in your private infrastructure—on-premises and in the cloud. Enterprise GIS in Your Infrastructure with ArcGIS for Server. It provides you with a complete Web GIS that runs behind your firewall, on your infrastructure, and dovetails with your enterprise systems and policies. 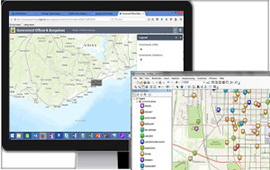 ArcGIS for Server software gives you the ability to create, manage, and distribute GIS services over the Web to support desktop, mobile and Web mapping applications. Once you register and share your ArcGIS for Server web services with ArcGIS Online, other users can discover and use them, greatly expanding the number of end users who can consume and leverage your GIS resources. Using ArcGIS for Server to share GIS resources over the web empowers an organization and its members, enabling them to make better decisions because everyone can access, collaborate, and work with the same geographic knowledge. ArcGIS for Server includes a GIS Server, Web Adaptor, and ArcSDE technology. This is the core software that installs on a server machine and enables an ArcGIS Server site to be created. An ArcGIS Server site is an instance of ArcGIS for Server that can share GIS resources as web services. This is separate software that you can install into a third-party web server (e.g., Microsoft IIS, IBM WebSphere, Oracle WebLogic). The Web Adaptor is a lightweight application that allows you to integrate ArcGIS for Server with your organization’s existing web server architecture. This is separate software that you can install to manage connections to your enterprise geodatabases. Improve the way your business works by bringing the power of GIS to everyone in your organization. ArcGIS for Server extends the reach of your GIS. 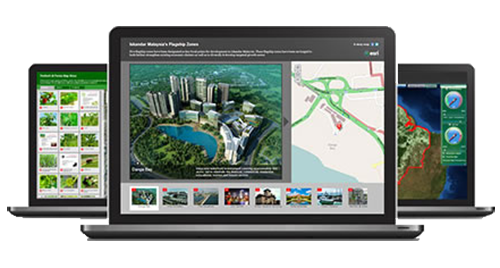 Create, organize, and share geographic information and tools using intelligent online maps and apps. Integrate all your enterprise apps, manage security, and administer your organization. 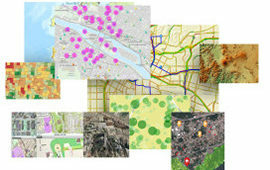 ArcGIS Server is being implemented in a series of patterns within the user community. These patterns include using ArcGIS Server as a mapping server, to support mobile applications, to align geoservices and business systems in an enterprise, as part of the spatial data infrastructure where multiple departments replicate data into an enterprise warehouse, as a fusion center, and to support mashups. All these patterns represent various ArcGIS Server implementations, and while useful to distinguish separately, they can also be thought of as integrated capabilities of a Web GIS. Google Earth Enterprise Server works with ArcGIS Server and ArcGIS Image Server to fuse and host flyable databases of virtually unlimited size and deliver interactive access to the entire store. Google Earth Enterprise Server can fuse and host flyable databases of virtually unlimited size. It delivers fully interactive access to the entire store of geospatial data and allows the incorporation of geospatial data from dozens of industry-standard formats and the management of published databases using a robust set of administrative tools. This server also provides intuitive and high-performance two- and three-dimensional user interfaces designed to allow decision makers to work more productively and collaborate more effectively. ArcGIS for Server improves the way your business works by bringing the power of GIS into the hands of everyone in your organization, enabling better decision making. 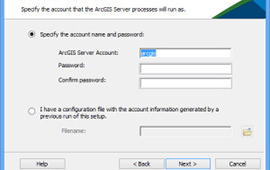 Find out about the key features of ArcGIS for Server. ArcGIS Server can be deployed on-premise and to private and public clouds. To create GIS services, you use ArcGIS for Desktop to author geographic content, such as maps and GIS tools, and then publish that content using ArcGIS for Server so that it can be used anywhere in your enterprise and on the Web. 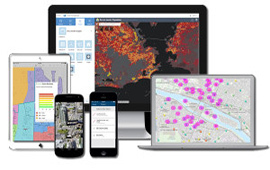 ArcGIS for Server simplifies access to GIS services for GIS professionals, mobile workers, as well as knowledge workers without any GIS experience. With ArcGIS for Server, you stay in control of your content through centralised management of spatial data, including imagery. 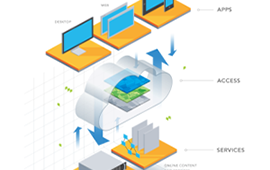 In addition, ArcGIS for Server provides you with a scalable GIS server platform that can be deployed on a single machine to support small workgroups, or it can distributed across multiple servers for supporting enterprise applications. You can also deploy ArcGIS for Server on Cloud infrastructure. ArcObjects are a set of COM components. To work with ArcObjects in the .NET development environment, a collection of .NET primary interop assemblies and COM object libraries have been generated to manage .NET-COM interaction. ArcObjects components are installed with the ArcGIS Desktop, ArcGIS Engine, or ArcGIS Server products. They can be accessed locally on any machine where they’ve been installed. To access ArcObjects remotely using ArcGIS Server (via distributed COM or DCOM), only the .NET primary interop assemblies and COM object libraries must be installed on the client machine. The COM object libraries act as proxies to ArcObjects components on a remote server. You can deploy ArcGIS for Server on-premises using your internal IT structure or in the cloud. See ArcGIS for Server System Requirements in the ArcGIS Resource Center for details. Esri Managed Cloud Services provides you with ready-to-use instances of ArcGIS running in the cloud. Esri Managed Cloud Services include the infrastructure (facilities, hardware, network, and security), the software (Esri and third party), application deployment and testing, ongoing data management (data updates, backup, and archive), and 24/7 technical support and monitoring. Quickly meet your organization’s increased demand for GIS data and capabilities without worrying about the infrastructure and staff to support it. Leverage a dynamically scalable hosting environment that can respond to fluctuations in usage. 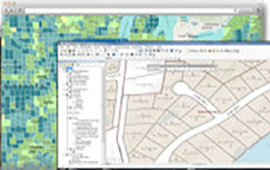 Access to experienced GIS professionals who specialize in managing and maintaining your applications and data based on the latest Esri technology. The option to “bring your own license” or convenient 1-, 3-, and 12-month term licensing. Esri Managed Cloud Services consultants help you choose from a variety of hosting options that are scalable, reliable, economical, and secure. Pre-configured hosting packages are available, or the hosting environment can be customized to meet your specific operational requirements. Find out more about Esri Managed Cloud Services. Pricing for ArcGIS for Server is based on a number of factors, including how it’s licensed and which edition you purchase. 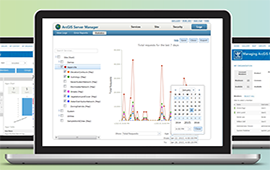 ArcGIS for Server includes the first year of maintenance when you purchase a new product license. 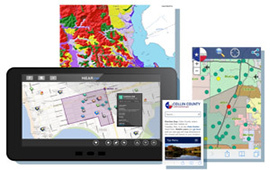 Flexible licensing options allow you to plan a sustainable and scalable geographic information system that supports your core business while making it possible to add more instances of ArcGIS for Server during limited periods of high demand. GIS analysts, managers, administrators, and developers, as well as IT managers and network administrators who want to run ArcGIS Server on ERP platforms.